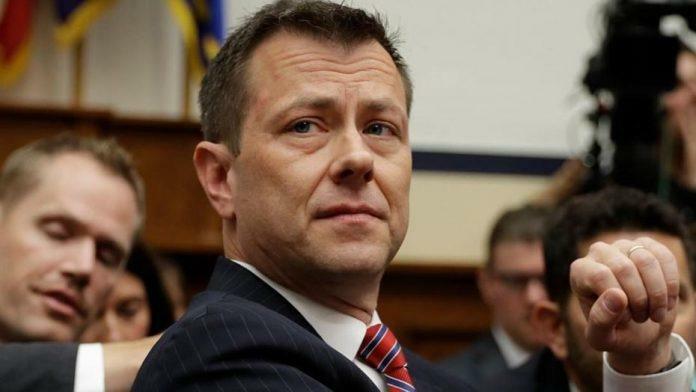 “There are a number of individuals who are looking at Peter Strzok’s actions and inactions and how those actions affected both of the investigations he was involved in,” said a U.S. official, with knowledge. After several years of congressional inquiries and investigations many Republican lawmakers say Barr’s statements this past week have renewed their faith that there will be justice and a serious investigation to access what happened prior, during and after the 2016 election. Those lawmakers, like Rep. Mark Meadows, R-NC, expect the Justice Department will take the necessary steps in investigating evidence uncovered by their committees that allege abuse of power in institutions normally trusted by the American public. Meadows told SaraACarter.com that testimony provided by Barr to both the House and Senate Appropriations Committees over the past several days showed Barr’s exemplary knowledge of the facts and his determination to seek justice. Lawmakers contend that the mounting evidence uncovered over the past several years cannot be ignored or swept away. They say it is Barr’s duty to investigate the abuse. One of the major revelations during congressional investigations was discovered by the House Intelligence Committee under then Chairman Devin Nunes, R-CA, which revealed the FBI used an unsubstantiated and fabricated dossier to obtain a warrant from the nation’s secret court to spy on former Trump campaign advisor Carter Page. According to many legal experts, analysts and lawmakers this could be one of the most egregious offenses. The dossier was compiled by former British spy Christopher Steele and paid for by the Democratic National Committee and Hillary Clinton Campaign through the embattled research firm Fusion GPS. “Jim Jordan (R-Ohio) and I have long reviewed evidence that suggests improper surveillance occurred on the Trump campaign,” Meadows said. Barr revealed to the Senate on Tuesday that he believed Trump’s campaign was spied on by the FBI. This was the first time the DOJ had made such a direct statement on the issue. “You’re not suggesting, though, that spying occurred?” Shaheen followed-up. He informed the House Appropriations Committee on Monday that he has formed a team within the DOJ to look into the origins of the FBI’s investigation into Trump’s campaign. Moreover, Barr revealed this week that Horowitz’s IG report regarding the FBI”s handling of alleged collusion between the Trump campaign and Russia could come as soon as May. Barr’s four-page summary of Mueller’s report, also jolted Democrats last month when he revealed that the “the Special Counsel did not find that the Trump campaign, or anyone associated with it, conspired or coordinated with the Russian government in these efforts, despite multiple offers from the Russian-affiliated individuals to assist the Trump campaign.” The redacted Mueller report is expected to be released next week.